BOSTON, Feb. 6, 2019 -- Crayon, the market and competitive intelligence company that enables businesses to track, analyze, and act based on market movements, has raised $6 million in venture capital funding led by Bedrock Capital. Crayon will use the new funds to double the team and support growth across engineering, sales, services, and marketing. In 2018, the company grew its revenue 300%, doubled the team, and brought on hundreds of the most sophisticated companies as customers, including many in the Fortune 500. 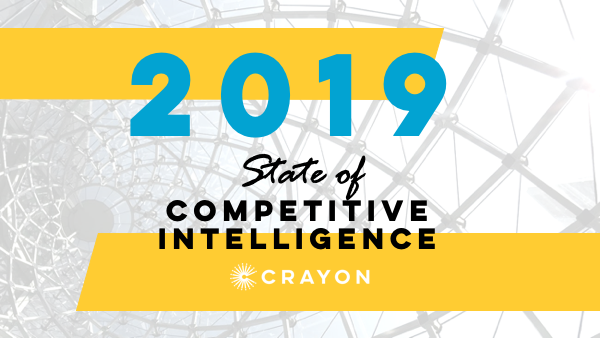 Also released today, Crayon’s second annual State of Competitive Intelligence Report reveals best practices in the field of market and competitive intelligence (CI) from more than 1,000 CI professionals. The study found that 87% businesses say their market has become more competitive, and 80% have already started investing in CI as a function. To read the full report, visit www.crayon.co/state-of-competitive-intelligence. 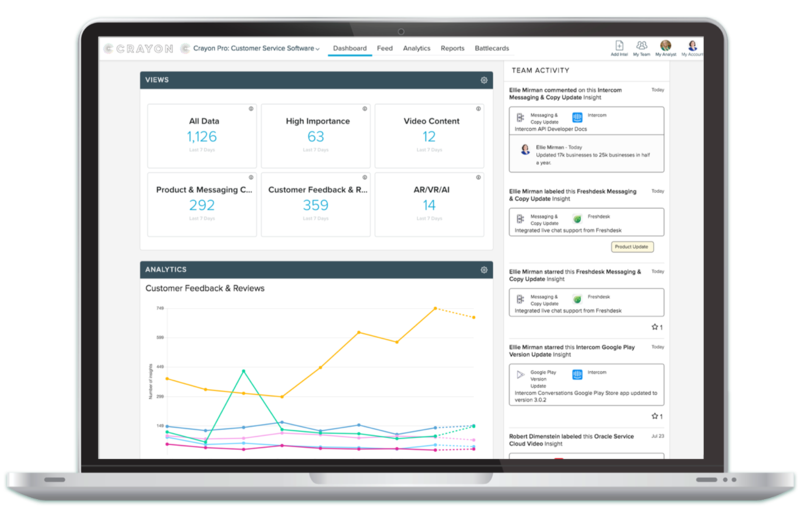 “Businesses today should be as data-driven about what’s happening outside their business as they are about what’s happening internally with their sales, marketing, and product metrics in CRMs and BI tools,” said Jonah Lopin, Crayon CEO and co-founder. “We’re building the solution to make that possible. Crayon is already best-in-class at capturing complete market and competitive intelligence, and we’re building more tools every day to enable businesses to extract insight, drive action, and deliver meaningful ROI.” In the last four months, Crayon has released dynamic Battlecards, Salesforce integration, and integration with sales enablement platforms, among other improvements. This funding round includes participation from existing investors, including Baseline Ventures, Converge, Box Group, Oyster Funds, and both new and existing angel investors. Steve Anderson of Baseline Ventures and Eric Paley of Founder Collective led previous fundraising rounds. Crayon’s market and competitive intelligence solution enables businesses to track, analyze, and act on market movements from their competitors, customers, and partners. Tens of thousands of teams use Crayon’s software to capture and analyze complete competitive intelligence - external messaging and positioning, product and pricing changes, hiring plans, partner strategies, and more - pulling from hundreds of millions of sources. Crayon was founded by former HubSpot and AdMob executives to enable millions of businesses to take advantage of valuable market intelligence data to enable sales, improve marketing performance, inform product strategies, and drive revenue. To learn more about Crayon, or request a free sample competitive intelligence report, visit www.crayon.co. Find out how Crayon can help you win in your market with deep competitive intel.